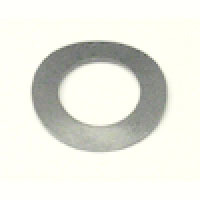 Used on many games to provide tension on front or back of coil to keep the coil firmly in place when mounted. Will fit/work on any make/model that uses standard size coils. Measures 13/16-inch outer diameter, 1/2-inch inner diameter. Replaces Bally # P-1158-6, Bally/Williams # 20-9612, Data East/Sega/Stern # 269-5002-00, Gottlieb #s 3502-24-26 & FA-605, Midway # 4705-00002-00, and more. Can be used on any make/model.